Think back to the last time you contacted a tree service. Whether it was decades ago or just last week, the fact is that finding a reputable tree care company can be anything but easy. Just about anybody with a truck and equipment gives the impression that they’re an “expert” with tree care. Unfortunately, this is how so many homeowners get ripped off. 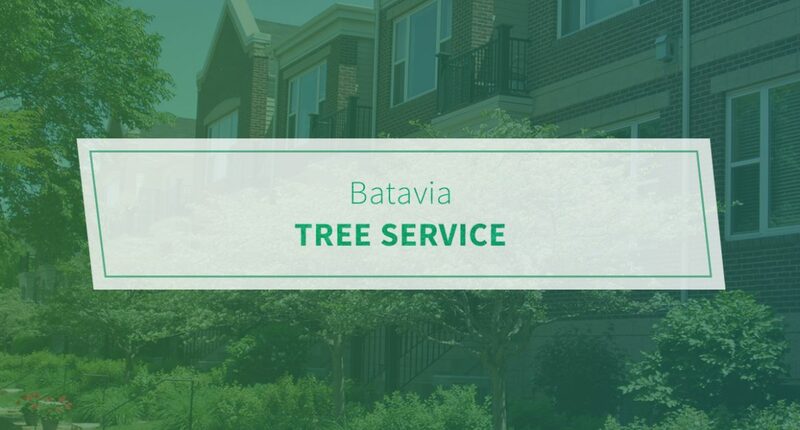 Here at Pro Tree Service, we’ve been serving those in Batavia and throughout DuPage County since 1989. It’s safe to say that our team established a reputation for being both affordable and reliable. Not only that, but we are fully licensed, insured, and bonded. Tree removal – Are you considering having your trees removed? Then it’s imperative to call a professional. There’s no question that tree removal carries a significant risk of damage to a person, property, or both. If you notice natural splitting/cracking at critical parts, damage from recent storms, or significant aging/disease, then tree removal may be the only option. For your convenience, stump removal is included in our estimates. Tree trimming – Damaged and/or diseased trees should be trimmed by a professional. On the other hand, maybe you have a tree that’s growing too close to nearby properties or public-use spaces. Whatever the case may be, Pro Tree can handle the task. Be aware that the constant removal of limbs and branches can shorten the life of some trees. Land clearing – Looking for a site preparation team in Batavia? Our tree company can easily remove large volumes of trees and debris in a short period of time. This allows you to worry less about land clearing and the chance to focus more on your actual project. See what makes Pro Tree the preferred tree care company in DuPage County. Call us now.